You can take a look at the latest videos here on Vimeo. You can also check Facebook and instagram for updates and weather conditions. We run from 9.30am – 5pm on Saturday, Sunday and Bank Holiday Mondays. We run from 10am – 5pm on weekdays. We do stop for lunch after 5 runs, normally around 12.30, for 45 mins. How many uplifts will I get in? On a normal day we would hit 11 uplifts, with a turnaround of approx 30-35 minutes. Although some riders are capable of 11 runs down the hill, quite a few are ready to go home after 8-9 runs. No, you don’t need it, but it’s worth making note of the booking reference and the name of the person who booked it (if someone else made the booking for you). Generally, we just need your name on the day. During the dark winter months we won’t be able to do as many runs because it gets dark earlier. On the shortest days of the year, we’d still hit around 8-9 uplifts. Just park up in the main carpark on your right as you arrive. Grab a carpark ticket, £3 for all day. Get yourself ready to ride, then head up to the far end of the carpark, where you’ll see the finish of the DH track and a big gravel bus turning area. Wait for the bus to arrive, then check in with the driver who will have your details. How much is the carpark? £1 for 2 hrs, £3 for all day. How do I book my uplift? It’s simple, just go to the online booking page, click on the date you want and follow the steps through to the payment page. Make sure you make note of the booking reference once your booking is complete. Can I book a Five Uplift Ticket? No, Five Uplift Tickets and Single Uplifts are only available from the driver when there is a space on the bus. We can only take cash for these, as we don’t have a card machine in the bus. The same goes for single uplifts, if we’ve got space in the bus for that run, we’ll get you on, but priority always goes to the riders who’ve booked a full day uplift ticket. The first couple of runs and nearer the end of the day is where you’ll most likely get on. I didn’t get a booking confirmation email? Don’t worry, sometimes they disappear into space, especially if it’s a hotmail account, or you’ve entered the wrong email address. You will have been given a Booking Reference when you completed your booking, so just make a note of that. You did write it down didn’t you…..? We don’t have any age limit as we just provide the uplift service. If you want to book your kids in, it is at your discretion. 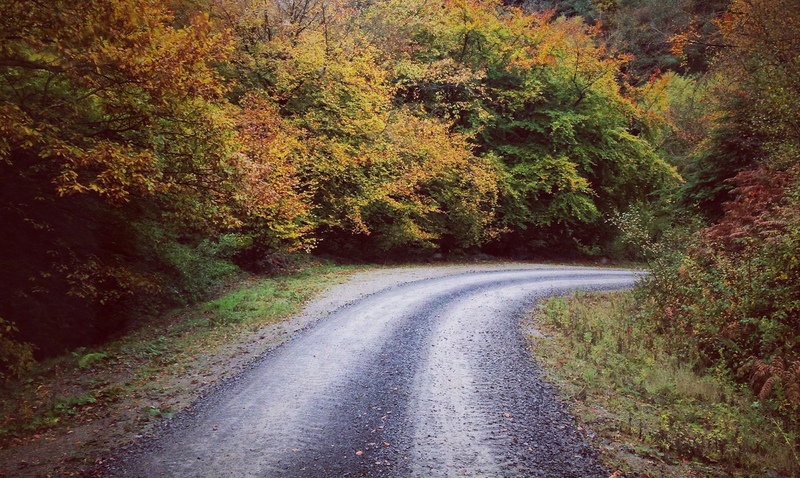 For more info about the DH track and to see if you think it is suitable, have a look at the MB Wales website. Or you can download the Trail info sheet here. What days are you running? We are open every weekend and normally a few days in the week, but this can vary week to week throughout the year, depending on demand, time of year etc. You can check our online booking page to see what days we are running over the next 12 weeks. Will you open the uplift for us, there are a few of us? Yes! We will happily open the uplift, if we have groups of 5 or more that want to ride on a midweek day which is currently closed. Simply enquire. If we aren’t out riding and don’t have anything else important going on, we’ll open for you. We will open your date for online booking, then you’ll have 24hrs to book it (minimum of 5 riders). Do I need to pay to ride the track, even if I don’t use the uplift? The trails here are free to ride, so if you don’t want to use the uplift there is nothing to pay. But you will need a few quid for the carpark. £1 for 2 hrs, £3 for all day. We don’t have any bikes for hire, we just run the uplift service. There are currently no other hire bikes available locally which would be suitable for use on the DH tracks. We are unable to cancel a booking within the 7 days prior to your booking. You can email us, info@cwmdown.co.uk We’ll need your booking ref or the date of your booking. Tell us who you are cancelling. Any cancellations are subject to a £5.00 fee per person. So if you cancel a booking of 4, the refund will be less £20. 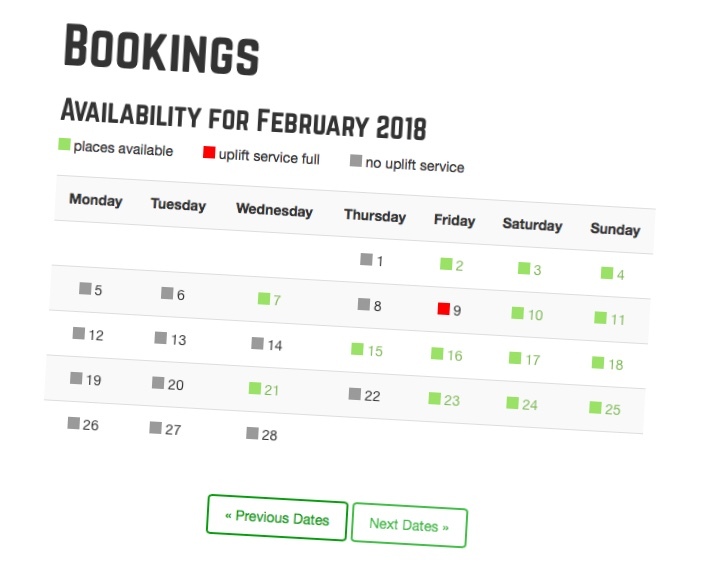 You can move your booking to an alternative date for free if that works better for you. For more info, take a look at the Terms & Conditions. Can I rearrange my booking? Yeah sure, as long as it’s not last minute. 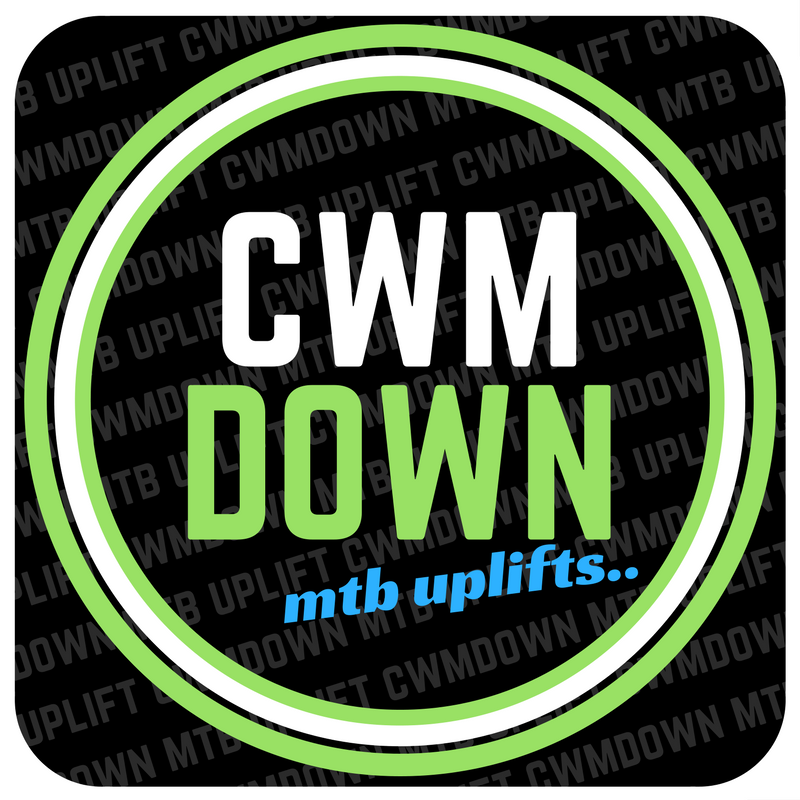 Drop us an email with your request to info@cwmdown.co.uk . We require at least 7 days notice prior to the booking you want to move. We will need a new date, we can’t hold a credit. For more info, take a look at the Terms & Conditions. You can contact us to ask your question.